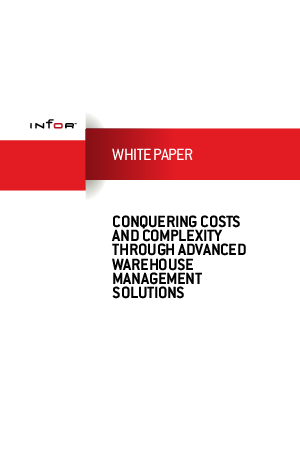 Manufacturers and distributors are under severe pressure to increase the productivity and performance of their warehouse operations in the face of growing costs and complexity. Some companies, however, are recognising this warehouse management challenge as an opportunity to strengthen their competitive market positions. These best-in-class performers are meeting today’s warehouse visibility, agility, and productivity challenges by investing in advanced warehouse management solutions. Read this white paper to learn more.